As a business owner, entrepreneur, as well as being a certified EOS Implementer™, I know of a way to help you and your organization build a cookbook to get everything you want for your business. It is a strategy to put together a recipe to help you achieve business targets. This cookbook recipe is a great take-off point for any entrepreneur in achieving what they want. However, this entails a lot of exercises where you need to look back and study business patterns in order to create the recipe you need. This will, in turn, help you hit your business goals every single time. To further explain this, think of a business target of locking in 12 new clients at a million dollars in revenue per year. Now that the goal is established, the next question is how do you assure your business gets this types of results? This is where you build a cookbook with a recipe to ensure you reach your goals. 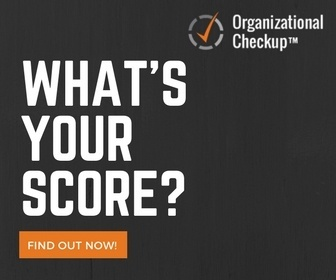 The main use of this tool is so you can create an activity based scorecard. This scorecard aims to produce, with predictability and based on your activity, one new client per month. This is where you need to start working backward – if you know that you have a 50% acceptance rate and that a client needs to review, read, sign, and accept one proposal a month, it simply means that you need to send out two proposals over to them. To be able to have these data handy, you need to have your data system set up in a Customer Relationship Management tool or CRM. I shared some examples such as Salesforce, which I use for larger businesses or a free version at Hubspot. This is an important tool in order for you to build a cookbook and have that recipe for success. At this point, your CRM tool can tell you how many of your emails are accepted and even opened and what percentage of that leads to meetings. You need to keep and collect these types of data over time in order to build a cookbook. Working your way backward, if you know at this point that you need two proposals a month. You would then know how many needs-assessment you need. If one needs-assessment produces one proposal, you then 4 of that every month. Still working on a 50% success ratio, it means that you still hit your 2 proposals month, and, with the 50% success rate, 1 new client. With that, you need to understand that to build a cookbook to get everything you want, you need to backtrack some more. The data you have means that you would have to add 8 new target clients every month. With your 50% success ratio, this can lead to those 4 meetings and even if it goes down to 2 proposals, your success ratio of 50% still gives you 1 client every month. This is the type of activity and thinking you need to employ when you want to have that cookbook for success. This is the same strategy that you can share with your sales team or even billable consultants. You sit down with them, you visualize your goal and then you work your way back to help you reach your goals. This also allows you to have some form of metrics for your people so you know they reach their goals every time. This can also be a great exercise to let you know if you need to make some changes on your end as well. It helps you see clearly whether you need to add resources or even change some methodologies in the way you do your business in order to reach your goals. What is exciting about this is that this is just one of the many tools in Entrepreneurial Operating System® or EOS Toolbox™. We at Optimize for Growth help entrepreneurs get everything you want from your business. This is possible because we advocate the implementation of a set of real-world yet simple and practical tools that empower you to do three things – Vision, Traction, and Healthy. Vision helps you and your leadership team be 100% on the same page with your vision in terms of where you are going and how you are going there. Traction, on the hand, creates the habits and discipline which are crucial in executing the vision. Healthy simply focuses on creating a healthy, cohesive, as well as a functional team within the organization. If you want access to the EOS Toolbox, you can visit www.eosworldwide.com If you are interested in understanding more about EOS® and how to best implement it within your business organization, visit us at www.o4g.com.